Great coffee and amazing desserts, what more could you ask for? Well, maybe less of a wait in the evenings, but hey, when it's good, it's good. 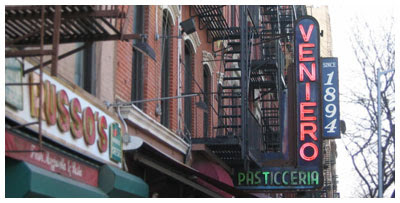 If you are headed here for take out, immediately get a number and then start browsing. If you want a table, push your way past the first room and into the back where someone will seat you, if you're lucky. The New York Cheesecake is probably the city's best. 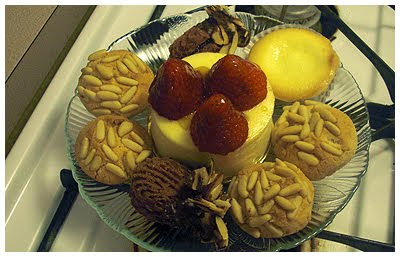 A medley of deliciousness, including a mini NY cheesecake and pignoli cookies.